Work is progressing well on the late game crises – all new contracts and twists are in the game now, and next up is implementing events and some remaining mechanics. So while we’re busy doing that, let’s take a look at some of the new weapons and tools that the upcoming update will bring to the table. Read on! The upcoming update will bring a total of at least 13 new weapons to the game. While some are unique to the Ancient Dead and come with unique skills, others are there to fill the remaining gaps in progression. An agricultural tool adapted for use in battle, the Hooked Blade is a mid-tier variant of the Billhook. We’re handing it out to bandit raiders as we speak, for two purposes: first, to smoothen the difficulty spike experienced when meeting them in the early game, and second, to smoothen the power spike when looting these in the early game. 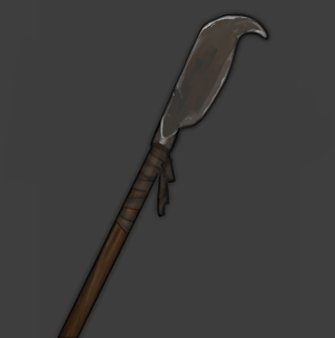 The Billhook is still sometimes wielded by your enemies, of course, but it’s more rare now, and more often found on well-equipped noble troops or other mercenaries. A long, quadrangular spike designed to pierce through weak points in armor, the Rondel Dagger is a high-tier variant of the existing dagger. 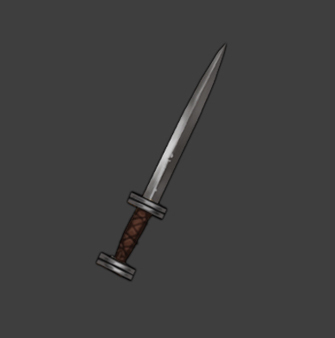 It’s there to make daggers more viable as niche weapons later on, and it’s what named daggers are now based on in terms of stats. Note that the upcoming update will also bring a minor change to how the Puncture skill works! 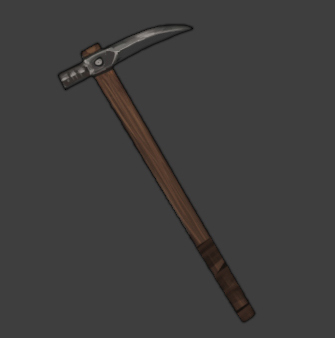 An evolution of the classic pickaxe, the Military Pick has been adapted for use in combat to puncture the sturdiest of armors. It fills the gap between the low-tier Pickaxe and the high-tier Warhammer, and by being both more affordable and common than the latter, will give you the means to successfully engage heavily armored opponents, such as Orc Warriors, earlier in the game. 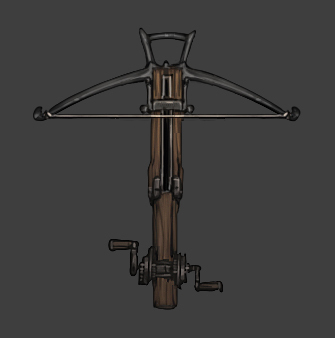 The heavy crossbow is the new high tier variant of the crossbow, and is effective even against heavily armored targets. It’s roughly equivalent to the high-tier Warbow, and should make the use of crossbows more viable later on in the game if you favor armor-piercing qualities and ease of use over range and rate of fire. Named crossbows are now also based on the Heavy Crossbow in terms of stats. The update won’t just add new weapons, but also several new tools and accessories. Some of these can be unlocked as rewards for fulfilling ambitions, while others can simply be bought at the right place. 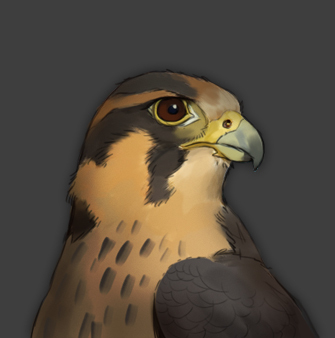 A trained falcon can be taken into battle similar to wardogs. It doesn’t fight, but can at any time be let loose to lift the fog of war in an area around you for the remainder of the current round. Useful, for example, when you’re ambushed in deep forest, or looking for that necromancer that keeps evading you. 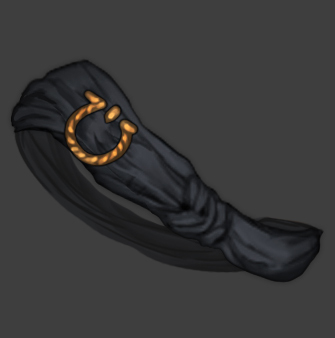 The Sergeant’s Sash can be earned by fulfilling a specific ambition, and it’s to be worn by your second-in-command in the accessory slot. 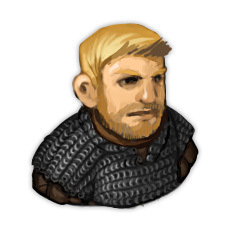 Not only does it make him visually stand out, it also grants a bonus to the Resolve stat, which in turn synergizes with the ability to rally the men and raise their morale. I real hope that Falcon and Sergeant’s Sash – it is only the begining of such new ingame features. There was a lot suggestions about such thing, glad that some of it will be in game. Also i hope that changing in puncture mechanic will be right. Cuz now puncture by AI too OP. Awesome guys!!! I am so excited to see these things implemented, I love the falcon and sash ideas. You guy surprising us, thank you for your work! Sergeant’s Sash is something I am especially looking forward to – being able to nominate somebody to command in the actual battle line was very often brought up by players (including me). Items like that will certainly something make utility slot much more valuable. Will there only be blue sashes? My Griffin Guards like red! Amazing stuff as always, the only thing I didn’t quite like was the introduction of the Falcon because it hurts my suspension of disbelief(and the roleplay I like to have when playing the game)the fact that the animal will grant you vision over a certain area. You know people use falcon’s to hunt because they can spot prey and fly over it marking it’s position. Maybe the falcon was trained to screech when it spots something. Also suspension of disbelief about a falcon should not be to hard considering we are dealing with orcs, goblins, ghouls, vampires, werewolves, zombies and necromancy. New content! I’m sorry but I just don’t get why some people are into Steam achievements (OCD?). Anyway, does that mean there’ll be at least one more game update before launch? Do you intend to release an expansion pack later? I would also like to see weapons of forces such as Central Asia, Islam, Mongolia, Japan, China and Korea. If the expansion pack is released, I hope these forces will emerge in the background of the Mongol invasion and the Crusades. When is this update expected to come out? I have to admit, I’m beginning to hate this blog. It has been months since there was an update. I cannot understand why you aren’t releasing a new version. I understand why you might be holding out big content updates, but the quality of life fixes should have been released long ago. Like clicking on fleeing enemies. Better map generation. And other fixes you claim are already complete. I’ve starting to seeing these updates, that don’t get updated in the game as though I’m being teased with all this finished content that has absolutely no knowable schedule for release. Makes me angry. When playing I make good use of pichforks. Tis true that these can be dangerous…but in this context they are just to much. Can they be reduced somehowe, made somewhat flimsier perhaps? Also what about bringing Swordstaffs into the game?? Probably too late, but… What does change about Puncture skill? Currently no matter how much armor my brother has, unless I ridiculously over-invested into HP (which is bad idea build-wise), I’m always at risk of getting insta-killed by archers in melee. Two head hitting punctures can do up to 100 hp damage (and higher tier dagger is going to make situation even worse). Goblins do have decent accuracy + quickhands to try that every time, even if they rarely succeed. Kind of ridiculous, that enemy I’m most afraid to melee is not Orc Warrior or Berserker, but lowly Goblin Ambusher.